You must be a member of the Basel Coffee Break Group to attend this activity. Would you like to join this group? 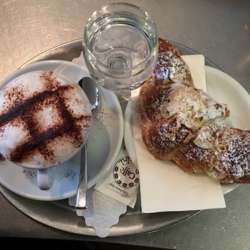 Since Protected content ,Protected content provides its guests in the heart of Basel with homemade, exquisite delicacies for Protected content a year. Let’s meet in this truly "old school" café to enjoy the view of Barfüsserplatz while sharing laughter and pleasing our stomachs with delicious brunch.